Boko Haram is fracturing as shortages of weapons and fuel foment tensions between its foot soldiers and leaders, women rescued from the Islamist jihadi fighters by Nigerian troops have revealed. The group abducted an estimated 2,000 women and girls last year as it sought to carve out an Islamic state in North-eastern Nigeria. But the army has freed over 700 in the past week as it advanced on Boko Haram’s last stronghold in the vast Sambisa forest. According to Reuters, the terrorists began complaining to their captives about lacking guns and ammunition last month, two of the women said, and many were reduced to carrying sticks while some of their vehicles were either broken down or lacked petrol. A 45-year-old mother of two, Aisha Abbas, who was taken from Dikwa in April, said the fighters all had guns at first but recently, only some carried them. Even the wife of their captors’ leader, Adam Bitri, openly criticised him and subsequently fled, two of the women said, with one describing Bitri as short and fat with a beard. Of the 275 freed captives brought to a government-run camp for internally displaced people in the Malkohi hamlet on the outskirts of Adamawa State capital, Yola, only 61 were over 18, and many small children hobbled around visibly malnourished. The women said they were kept inside, occasionally brought food and sometimes beaten severely. The children were left to run around or do errands for Boko Haram while those of the fighters were trained to shoot guns. “One evening in April, Boko Haram followers stood before us and said ‘Our leaders don’t want to give us enough fuel and guns and now the soldiers are encroaching on us in Sambisa. We will leave you’,” one of the women, 18-year-old Binta Ibrahim from northern Adamawa said. The women said once the militants spotted two helicopters circling at noon on the day of their rescue, they began trying to sell the women for up to N2,000 (about $10) each. Towards evening as the army approached, the captives refused to flee with the Boko Haram fighters, who began stoning them but then ran away. “We heard bullets flying around... we lay on the floor. Some of the women were crushed (by army vehicles) and others wounded by bullets. Eighteen were killed. We counted them, they included infants,” Salamatu Mohamed from the Damboa area in Borno said. Mohamed said she gave birth while in captivity and had trouble feeding her newborn, as there was not enough food. 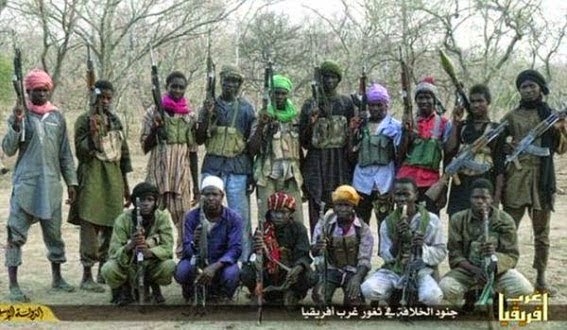 Boko Haram seemed almost unstoppable and fast becoming a regional threat after it gained control of several local government areas in the North-east last year and increased cross-border attacks on Chad, Cameroun and Niger. 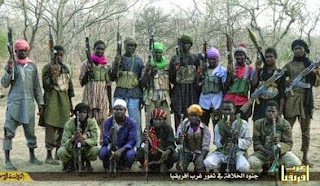 Its six-year-old insurgency has killed thousands and forced 1.5 million people from their homes and the group caused a global outcry when it abducted over 200 schoolgirls from the town of Chibok. Hanatu Musa, a 22-year-old mother kidnapped last June from Gwoza in Borno State, quoted the fighters as saying their leader had deceived them into fighting and killing in the name of religion. While the Nigerian army, which launched its counter-attack in January, is confident it has the group cornered in the Sambisa nature reserve, a final push to clear them from the area has been curtailed by landmines. None of the women interviewed had seen any of the Chibok girls, but Abbas said fighters who travelled from a camp in Sambisa where they were held to source food would describe the situation. “They said the Chibok girls were married off this year. Some sold to slavery, then others (militants) each married two or four of the girls,” Abbas said. Meawhile, the Borno State Governor Kashim Shettima has declared that the insurgents deliberately raped women with the intention of getting them pregnant so that they would give birth to future insurgents as successors of their violent struggle. Hence, he advocated a special programme to break the chain of violence possibly created by the insurgents.